In May, symplr®, a leading provider of software as a service (SaaS) based healthcare compliance and credentialing solutions, announced it has joined forces with Vistar Technologies, a leader in the development and support of provider management software for healthcare providers, managed care and payer organizations. Combined, the symplr and Vistar product portfolios create the broadest provider management software platform covering: credentialing, privileging, payer enrollment, event reporting, professional practice reporting, peer review, network management, contracting, recruiting, onboarding, provider relations management, quality management, and systems integration. The functionality of the combined provider management software platform supports all aspects of provider data management for healthcare delivery. In other company news, Nashville-based Julie Walker has joined symplr as vice president and general manager of Vendor Credentialing Business. 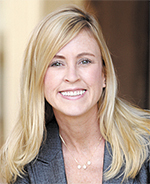 Walker previously served in an executive role in business development for ProviderTrust. She earned her undergraduate degree from Valparaiso University in Indiana and her MBA from Lipscomb University.